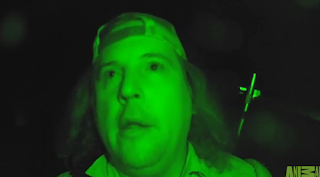 In tonight's episode of Finding Bigfoot, the team go to California to visit the Bigfoot Discovery Museum in Santa Cruz, where they investigate alleged sightings. Meanwhile, Bobo hopes the smells from a Hawaiian luau will attract any hungry beasts nearby. Airs 10PM EST on Animal Planet.